Yesterday didn't quite turn out the way I had planned. I got a call from my dad with some upsetting news. After a two hour conversation, whatever was left of my evening went to h@ll...along with any desire to write a post (I'm sorry guys). But we must move on right? As I was packing all the goodies for the giveaway, I realized that I didn't include an item. 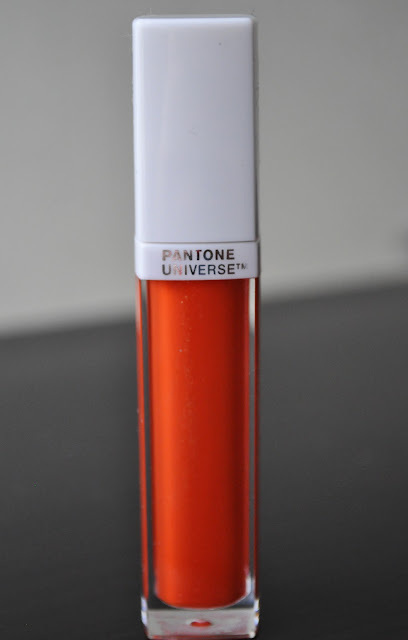 The Sephora + Pantone Universe Color of the Year Lip Gloss in Tangerine Tango Luminous. I'm so sorry to hear that :( Your life should be as sunny and juicy as that shade of lipgloss, always! Hahaha, your comment made me laugh :) Love it!! Thank you Kate!